This plugin allows you to read sensors for a Broadlink A1, and control the Broadlink IR blaster, SP Smart Plug and SC Smart Switch products with Indigo. Hit me up if you need help adding support for newer/different devices. I currently only own a RM Pro+ because oceanplexian purchased it for me and asked me to make a plugin. Support for the RM3 Mini was added by Colorado Four Wheeler. Support for other devices has been added slowly as they become available for testing. Other IR and SP devices may work. Let me know! This plugin does not expose any of the RF capabilities of the RM Pro devices. If you would like these features, help me figure it out. I don't have any RF equipment. Download the latest release or clone this repo. 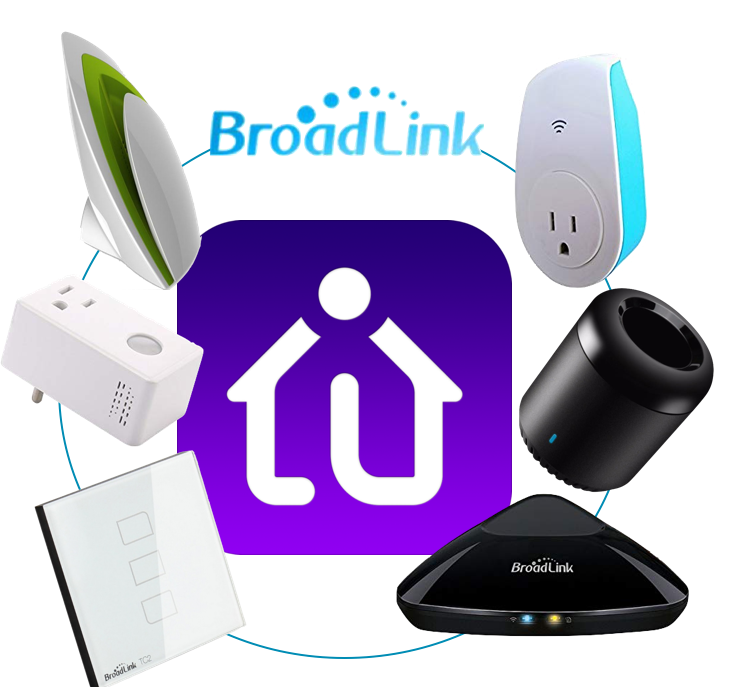 Add a New Device, Select Broadlink Devices, then RM Universal Remote or Smart Plug. Click Discover. If it fails, enter the IP and Model for the device manually. Check Indigo server logs after discovery for discovery details. Click Learn Command. Point your remote and press a button. Use the Commands in Action Groups, Triggers or Schedules. These devices have no special states. Select an update interval in the plugin configuration; this ensures local state changes are reported as expected. Control these devices with On/Off commands as you would any other relay device. All five sensors are exposed as custom device states on a single device. We'd break them out into individual devices, but it would require a dedicated plugin due to limitations in the device architecture for Indigo plugins. Once you add the device you can see the device states in the bottom pane of Indigo. Just grab the slider dot at the bottom and drag it up. You can create triggers against the device states and add them to control pages. This release fixes a few bugs that caused issues adding new devices. Additionally, support for SC1 relay devices and A1 sensors devices has been added. v1.1.1 Requires Indigo v7.0.2+ Released Dec. 2, 2018 Improved Discovery Experience, Better Logging, Bug fix. Device update errors are now logged with a toggle checkbox to turn them on or off. Discovery process is improved by populating new devices first. AllLightsOn command was broken and has been fixed. Commands can now be tested from the device settings window, right after learning. No longer do you have to make an action group to test a command. v1.1.0 Requires Indigo v7.0.2+ Released Nov. 26, 2018 Smart Plug Support! This release adds support for SP2 / SP3 / SPmini Smart Plug devices. Please report any problems so bugs can be fixed! This release contains: - Documentation Updates - Dependency: updates broadlink python library - Dependency: adds required pyaes and PyCRC python libraries - Bug fix: Delete Device was using the wrong list item for comparison. 0=>1 - Bug fix: Delete Device was comparing a string to a list. Changed to in. - Bug fix: lastRawCommand was never updated. - Feature: (experimental) adds a dozen or so broadlink IR-type devices. - Enhancement: Adds error checking for broadlink actions => red log lines in indigo. - Support for RM Mini. - Experimental Support for other IR devices. This release has been pretty solid for a long time. Many users have reported great success with this plugin. No known bugs exist, but new features are coming. This release only supports the RM Pro +.